Below you fill find all funeral homes and cemeteries in or near Derby. Derby is also known as: Sedgwick County / Derby city. Zip codes in the city: 67037. Some of the notable people born here have been: (david rickels). It was written by Hutchinson News on November 7th, 2018 that Mary Margaret Zink (Hoyle) passed on in Derby, Kansas. Ms. Zink was 68 years old. Send flowers to express your sorrow and honor Mary Margaret's life. It was noted by Hutchinson News on October 12th, 2018 that Lynn D Fitzsimmons passed on in Derby, Kansas. Fitzsimmons was 73 years old. Send flowers to share your condolences and honor Lynn D's life. It was written on July 5th, 2018 that Ruby D Mull passed away in Derby, Kansas. Mull was 92 years old. Send flowers to express your sympathy and honor Ruby D's life. It was reported on April 8th, 2018 that Martha Kushner died in Derby, Kansas. Kushner was 61 years old. Send flowers to express your sympathy and honor Martha's life. It was noted on March 30th, 2018 that Richard D Kaess passed on in Derby, Kansas. Kaess was 75 years old and was born in Salida, CO. Send flowers to share your condolences and honor Richard D's life. It was disclosed by Hutchinson News on March 18th, 2018 that Betty Jean Trimpe (Gadbury) passed away in Derby, Kansas. Ms. Trimpe was 89 years old. Send flowers to express your sorrow and honor Betty Jean's life. It was written by Hutchinson News on February 26th, 2018 that Carol Stambaugh (Tidwell) passed away in Derby, Kansas. Ms. Stambaugh was 81 years old and was born in Stroud, OK. Send flowers to share your condolences and honor Carol's life. It was revealed by Hutchinson News on February 21st, 2018 that Justin Chad Kinball perished in Derby, Kansas. Kinball was 89 years old. Send flowers to express your sympathy and honor Justin Chad's life. It was revealed by Topeka Capital-Journal on February 11th, 2018 that John Paul Allen died in Derby, Kansas. Allen was 76 years old. Send flowers to share your condolences and honor John Paul's life. It was revealed by Hutchinson News on November 4th, 2017 that George Abel passed on in Derby, Kansas. Abel was 88 years old. Send flowers to express your sympathy and honor George's life. Formerly known as El Paso, it is a suburb of Wichita, Kansas The population was 17,807 at the United States Census, 2000 census. 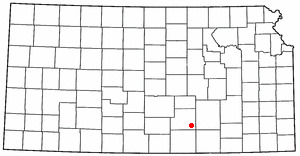 Derby is a city in Sedgwick County, Kansas County, Kansas, United States. Derby was recently named one of the "10 Best Towns for Families" by Family Circle magazine . . . Listing all funeral homes in Derby, Kansas so you can easily send flowers to any location (same day delivery) or find any funeral service. florists and flowers for Derby, KS. Find phone numbers, addresses, maps, driving directions and reviews for florists and flowers in Derby, KS. We work with local florists and flower shops to offer same day delivery. You will find budget sympathy flowers in Derby here. Our funeral flowers are cheap in price but not in value.